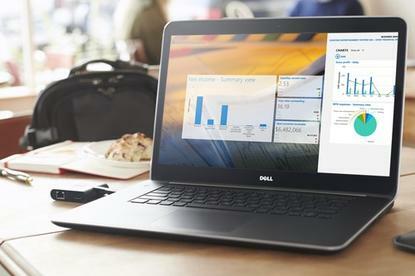 Dell has launched 12 new models, offered in more than 70 configurations, that run Windows 10. After trying the patience of both consumers and the enterprise alike with Windows 8, original equipment manufacturers (OEMs) are hoping Windows 10 will reinvigorate the market for PCs, laptops and all-in-one devices. Dell, Hewlett-Packard and Lenovo are all releasing new batches of Windows 10 PCs, laptops, tablets and all-in-ones. They all built hardware to make the most of Windows 10's new features, such as the Cortana voice-aided assistant and biometric log-in options. "There is a lot to like in Windows 10," said Chris Walker, Intel vice president for notebook products. The operating system takes advantage of the hardware advancements made over the past few years in notebooks, such as considerable improvements in battery life and screen resolution. Plus, OEMs are convinced the timing is right for a wave of new computer purchases. More than 600 million computers, all more than four years old, are still running Windows 7, Microsoft has estimated. Such a stronghold of legacy computers represents a "significant opportunity" for OEMs, said Mike Nash, HP vice president of portfolio strategy and customer experience for personal systems. "People need a reason to buy a new computer," he said. Windows 10 could provide the motivation for purchasing a new system. The way Nash views it, the 600 million people running these older computers were ambivalent about buying a new system with Windows 8 installed. Windows 8 had its issues, Nash admitted. In its pursuit of the then-nascent tablet market, Microsoft made the computing experience less than comfortable for those buyers of PCs and laptops. There was no start button. Apps were hard to find. The dual desktop and metro interfaces could be disorienting, he noted. Not only has the start button returned, but Windows 10 also makes a much more sophisticated decisions about when to present the user with a touch-driven interface, and when to rely on the mouse-and-keyboard combo, thanks to the Continuum feature for detecting the device's operating characteristics. Approximately 43 percent of users surveyed by HP are "excited" about Windows 10, and 44 percent have plans to upgrade their current machine. The OEMs need some good news. Sales of computers in the second quarter of 2015 have slumped by 9.5 percent, compared to the same time a year before, according to IT analyst firm Gartner. HP's enthusiasm is undeterred by Microsoft's ambitious plan to upgrade as many computers running older versions of windows as possible. Models running Windows 7 that were manufactured before 2012 may be able to run Windows 10, but won't be able to take advantage of the higher-end Windows features, such as Cortana, Nash noted. Windows 10 has fairly modest requirements for hardware, meaning systems running Windows 8 or even Windows 7 in some cases could be upgraded to Windows 10. This is intentional on MIcrosoft's part, an effort to get as many people on Windows 10 as possible to both streamline the updating process and to make the company's cloud services available to as many people as possible. On the consumer side, HP is releasing three new notebooks, three desktop editions and two all-in-one computers that all run Windows 10. For the enterprise, HP will be rolling out six laptops, four desktop computers and two all-in-ones between August and October. Dell is also bullish about the success of Windows 10. On Wednesday, the company introduced 12 new models, offered in more than 70 configurations, running Windows 10. Dell was able to leverage the new features of Windows 10, said Marissa Tarleton, Dell executive director for North American consumer and small business marketing. In particular, the company worked to make the voice-aided Cortana feature as usable as possible. With Windows 10, users can ask the system to carry out tasks such as open a program or look something up on the Internet. Dell developed a set of voice recognition algorithms and audio software that can pick out a user's voice in a noisy environment. Another feature that Dell took extra effort to support is the Hello authentication feature, which can log in a user by taking a photo of his or her face. The company integrated its own facial recognition software on top of Microsoft's to further aid the process of identifying a person. System builders are also seeing opportunity in Windows 10. "We are more optimistic about the release of Windows 10 than we have been over any other desktop operating system," said Chris Woodin, director of Microsoft business development for business systems provider Softchoice. Many enterprises have been holding off on upgrading their Windows 7 machines for Windows 8, so there is considerable pent-up demand for Windows 10, Woodin said. Beyond the desktop replacements, Windows 10 also provides a good platform for Softchoice to build advanced features with on behalf of their customers. At the World Wide Partner Conference earlier this month, Microsoft demonstrated how Cortana could be used to power business intelligence (BI) applications. Anyone, not just BI specialists, could ask a question about company data, and Cortana could return an answer. This BI capability may not be something that Softchoice could offer this year. The Microsoft demo would still require considerable wiring to get into production use. But the company can start testing and building solutions with such capabilities for the years to come, Woodin said.